Robinson R22 light utility helicopters are the latest Beta II models. Incorporating a Lycoming O-360 four-cylinder, carburetor-equipped engine, the R22 seats two adults and provides panoramic views from its large windows. Moreover, its heavy-duty muffler and low tail-rotor tip speed serve to reduce both flyover and interior noise, providing exceptional comfort during flight. The R22 is also equipped with an attitude indicator (AI), a directional indicator, GPS and VOR navigation, and emergency night landing lights. Due to these features, combined with its smooth and controlled flying style, the R22 is the ideal training aircraft. 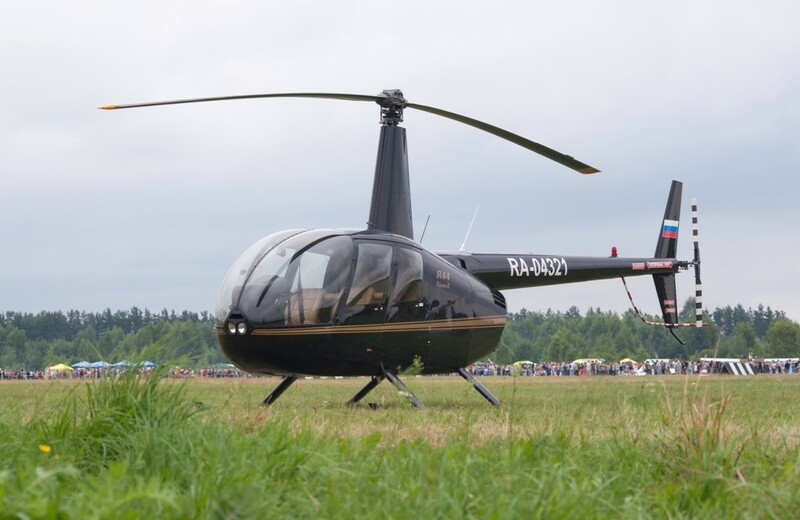 The Robinson R44 helicopter maintains a renowned status as one of the most popular helicopters. 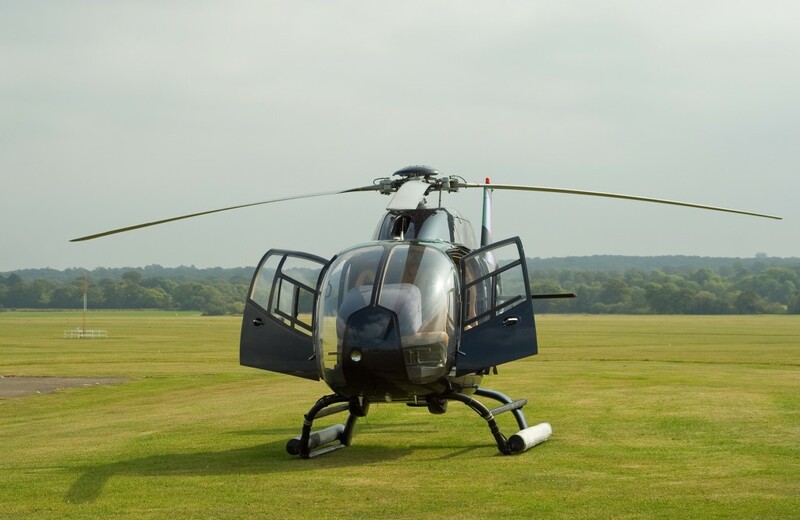 Featuring four seats capable of seating three passengers and the pilot, the R44 is our principal charter helicopter for the London flights, wedding and afternoon tea flights, and many other private charter packages. The R44 also incorporates a Lycoming O-540, six cylinder engine capable of cruise speeds optimal for the quick and efficient flights necessary for business travel. 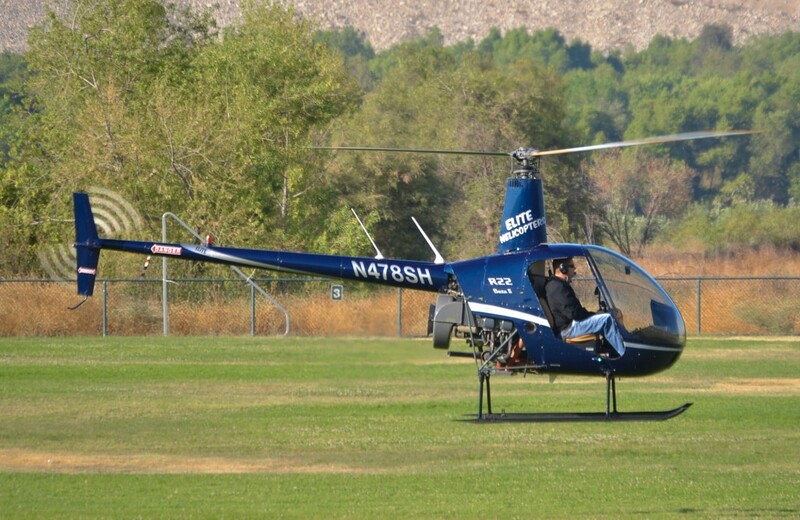 All R44 helicopters are equipped with the latest aviation technologies for a safe and comfortable flight. Moreover, these helicopters emphasise a low tail-rotor tip speed, newly designed muffler, and large cambered tail suited for significantly reducing flyover noise. The Eurocopter EC120 is a lightweight charter helicopter that integrates a high level of advanced technology to make the rotorcraft easier and safer to fly. 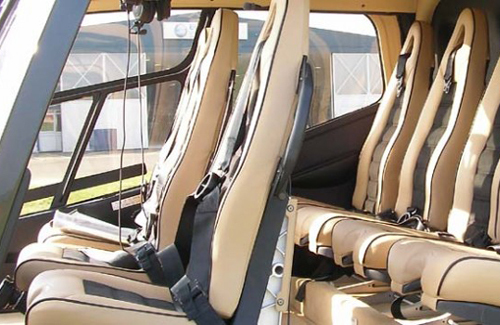 As such, this five-seat helicopter remains ideal for our longer flights with larger groups, and we often use this helicopter for our shared London tours and event flights. Moreover, the EC120 features a robust and attractive design, and no matter your takeoff or landing location, you can be ensured both flash and style. The interior of the EC120 includes a spacious interior, leather seats, air conditioning and heating, and fantastic visibility. Furthermore, the EC120 has been regarded as one of the smoothest helicopters operating today. The Eurocopter EC130 is a beautiful aircraft defined by its speed, versatility, and comfort, and it is often considered to be one of the leading helicopters operating in the UK today. Its most endearing quality is its ultra-spacious, modular cabin capable of seating seven to eight passengers, making it not only one of our favourite helicopters to fly, but also a luxuriously styled helicopter ideal for formal and VIP events. In addition to its power and spacious interior, the EC130 is outfitted with modern interior and glass cockpit that ensures unrivalled visibility. Climate control optimises comfort for guests, and its superior noise cancelling headsets and heavy-duty muffler provide a calm and peaceful experience. The Agusta 109SP is one of the fastest commercial helicopters operating in the UK. 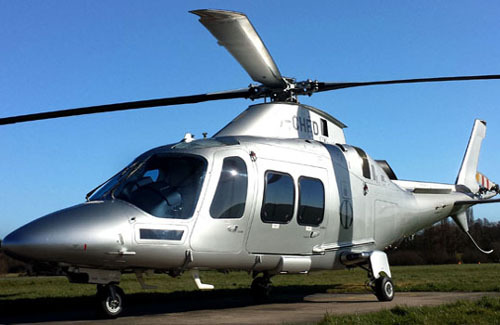 As the latest version of the powerful and well-acclaimed 109 line of helicopters by the Italian helicopter manufacturer, AgustaWestland S.p.A., this aircraft is designed for a smooth, lavish experience. Experience outstanding speeds as this seven-seater helicopter can cruise at 177 mph and climb 503 m/min (1650 ft/min). Ideal for longer trips, such as to Paris or Brussels, the twin-engine design enables an efficient mode of travel and first-class comfort along the way.